MSNBC reported falsely on Hamas’ violent demonstrations on Israel’s border with Gaza and presented the terror organization’s propaganda as fact. 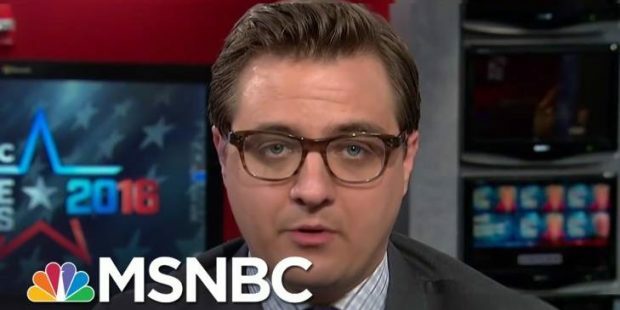 MSNBC’s Chris Hayes reported falsely on Hamas’ violent demonstrations on Israel’s border with Gaza and presented the terror organization’s propaganda as fact when he claimed in an April 4 report that Israel was “pick[ing] off” unarmed demonstrators in Gaza. He also insisted that 750 Palestinians had been wounded by Israeli live fire during the Gaza border “March of Return” on March 30, despite the fact that the unconfirmed number was supplied by Hamas, which has a long history of manipulating casualty statistics. “Just a few days ago, Israeli troops shot more than 750 Palestinians, killing at least 15. Yes, that is the correct number, more than 750 Palestinians shot, at least 15 dead,” Hayes said in the report. “How is Hayes so certain ‘that is the correct number, that ‘that’s the fact,’ given that the information is supplied by Gaza’s Health Ministry, meaning Hamas?” CAMERA asks. At no point does Hayes attribute the unconfirmed information to Hamas, and nowhere does he point out that the US, the European Union and Canada have all designated Hamas as a terror organization, making it an unreliable source at best. No source has independently verified Hamas’ figure. The IDF has disputed Hamas’ figure for those injured by live fire, saying that dozens, not several hundred, were hit by live bullets during the mass protests. Hayes also showed two videos as “evidence” of the IDF shootings, despite the fact that it is not at all clear that they show what Hayes claims they show. The two examples of “video evidence” don’t actually corroborate that Israeli snipers fired on unarmed people. Other media outlets which reported on these videos more carefully said that they “appear to show” unarmed demonstrators being shot by Israelis, avoiding Hayes’ definitive language. Incidentally, the IDF identified the man who was apparently shot in the first video as a Hamas terrorist. According to the IDF, he was one of 10 identified as a terrorist among the first 15 fatalities. Hamas also published its own list of killed terrorists, admitting terrorists were embedded among the rioters. “Even Hamas’ own acknowledgment of the fighters among the fatalities did nothing to sway Hayes, who clung to the false image of Israeli snipers ‘pick[ing] off’ unarmed demonstrators at a ‘sit-in.’” CAMERA concluded.